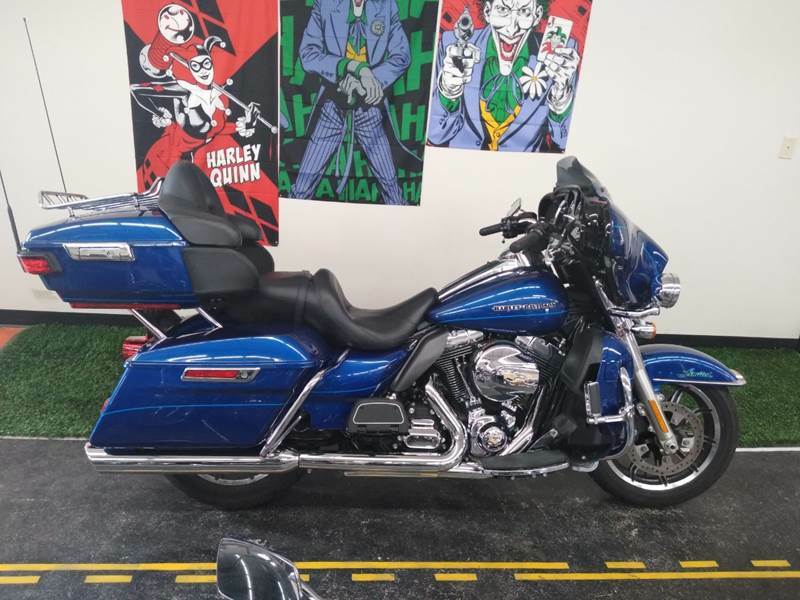 Could you provide more information about this 2015 Harley-Davidson FLHTK? SUPERIOR BLUE LIMITED. 103 CUBIC INCH HO MOTOR AND 6 SPEED TRANSMISSION. COBRA MUFFLERS, WIND SPLITTER WIND SCREEN, LIVE TO RIDE EMBLEM ON AIR CLEANER, DERBY COVER AND TIMING COVERS. ONE OWNER AND LOW MILES. EVERYBODY RIDES, FINANCING AVAILABLE, 90 DAYS SAC. CALL US TODAY AT 864-513-1019. What is the price of the 2015 Harley-Davidson FLHTK you have in your inventory? What is the mileage of the 2015 Harley-Davidson FLHTK you have in your inventory? I was wondering if this 2015 Harley-Davidson FLHTK is still available?